WAHOHPI UNGLUWASAKAKPI HECEL OYATE KI WOLAKOTA GLUHA TOKATAKIYA UNYA PI KTE. ﻿Welcome to the SGU website. Our tipi is open for you to visit, learn, and see what we have to offer. 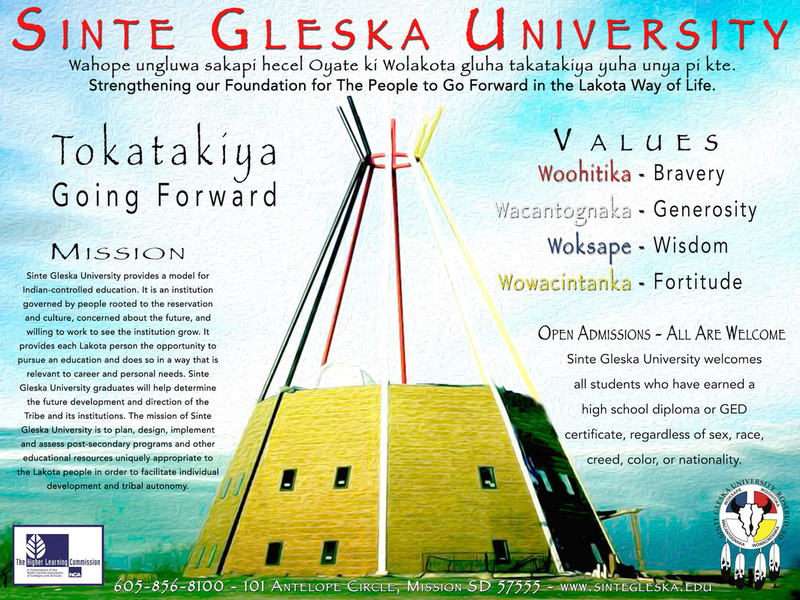 Take some time and explore the past, present, and future of SINTE GLESKA UNIVERSITY and the Sicangu Lakota People. We hope you enjoy taking the journey with us through our website. At any time, you may click on the SGU logo at the bottom of every page to be brought back to the Tipi (Home) Page. "Teaching the way of life that was lost..."
"SGU has given me many opportunities..."
"My story with SGU was a life-changing experience..."
Sinte Gleska University has been accredited by the Higher Learning Commission (HLC – formerly the North Central Association) since 1983. Because SGU is accredited, colleges and universities across the United States will review courses that students take at SGU and will consider them for transfer. ​ ﻿ All Media on this site ©2017 Sinte Gleska University. Do not use without permission. Sinte Gleska University and the Sinte Gleska University Logo are Protected and Registered Trademarks. Not to be used without permission.